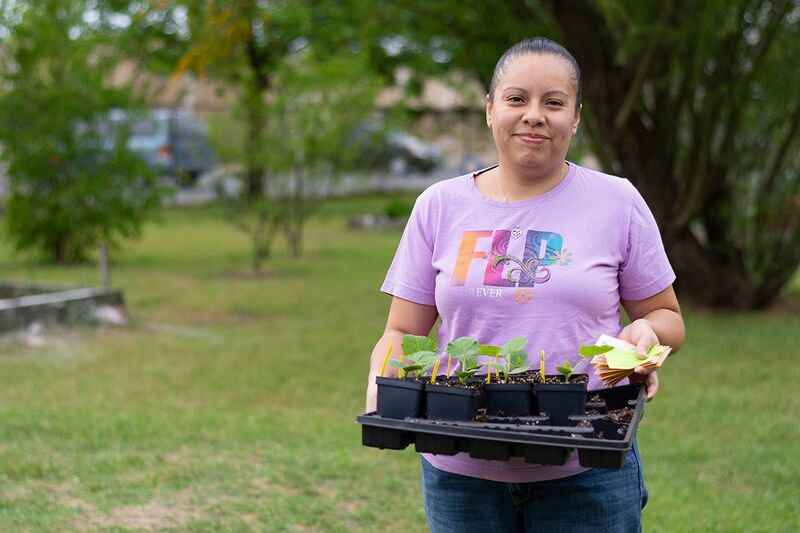 Spread the Harvest, a project of our Grow Local program, helps Central Texans grow their own healthy food by providing free gardening resources. 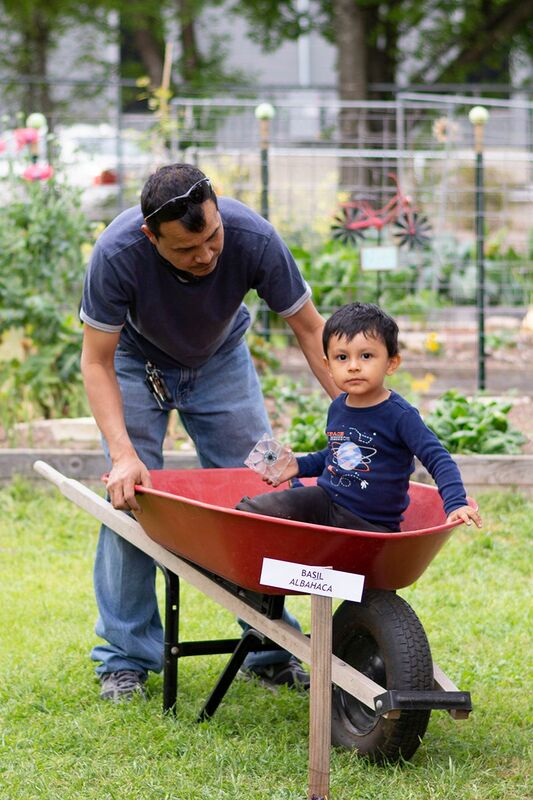 As part of the project, we hold a Resource Giveaway Day every fall and spring. 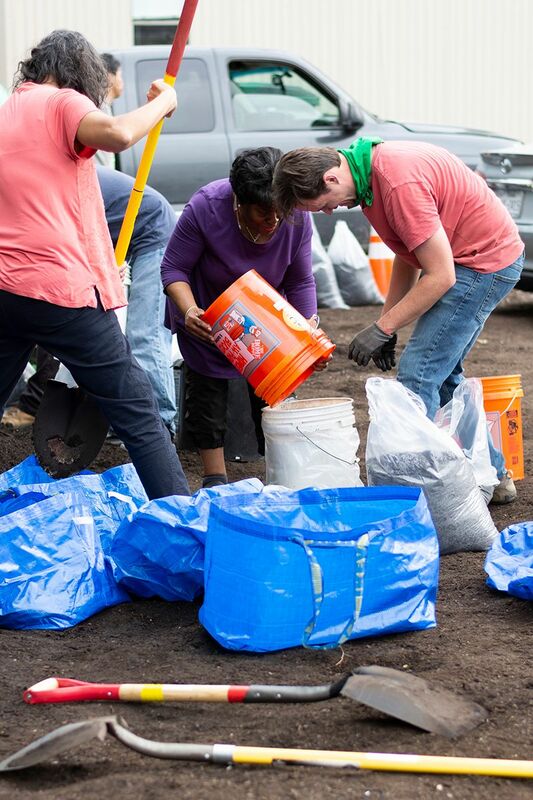 We were thrilled to see how many enthusiastic gardeners made it to our spring Resource Giveaway Day on March 28! 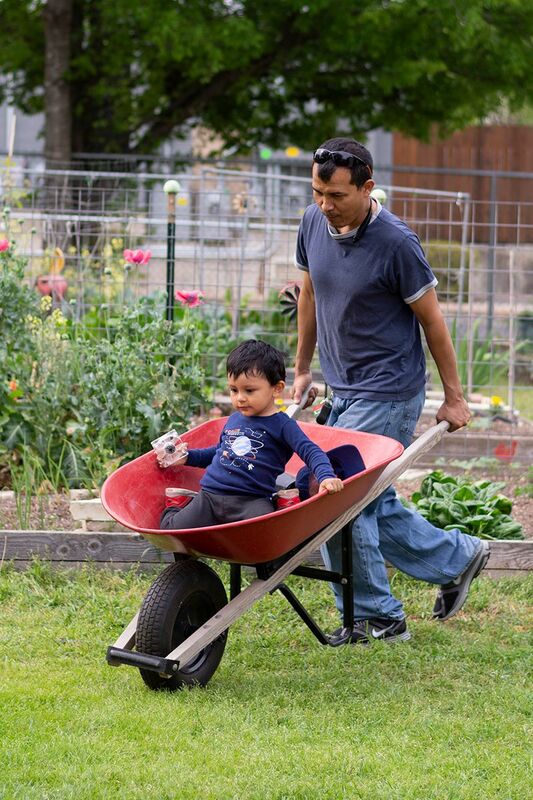 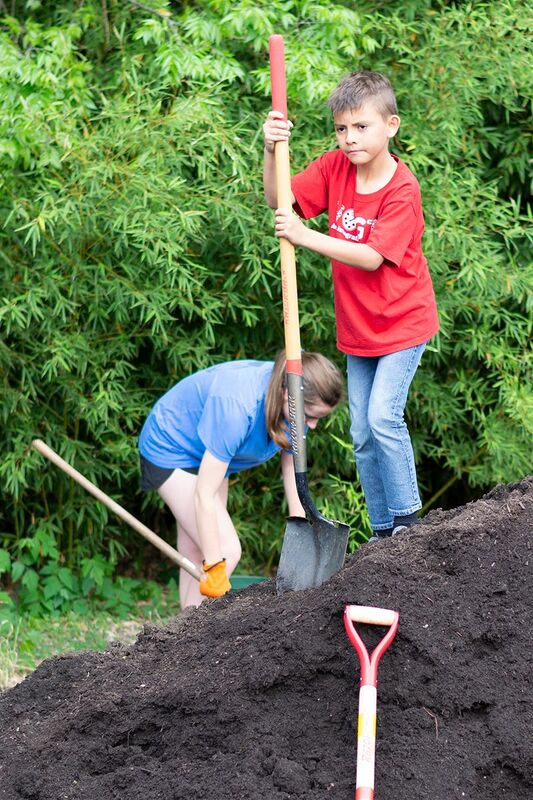 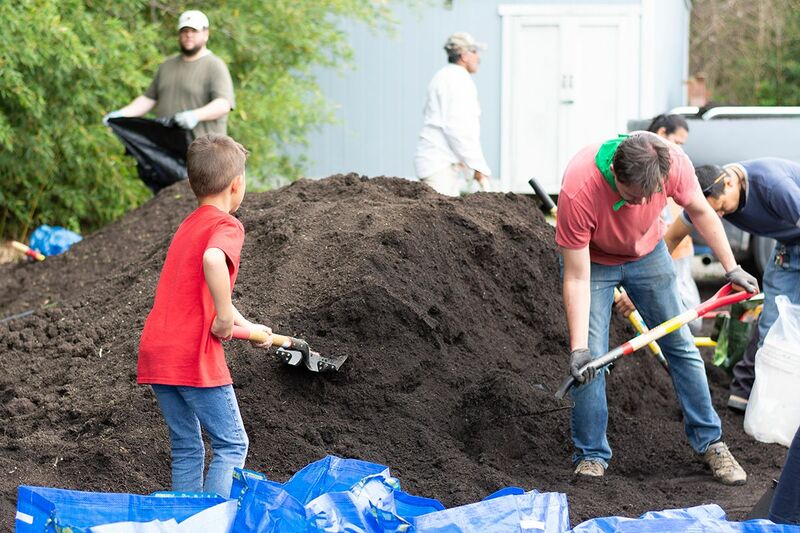 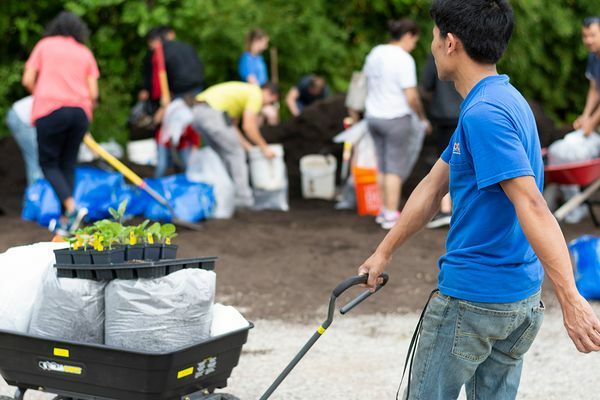 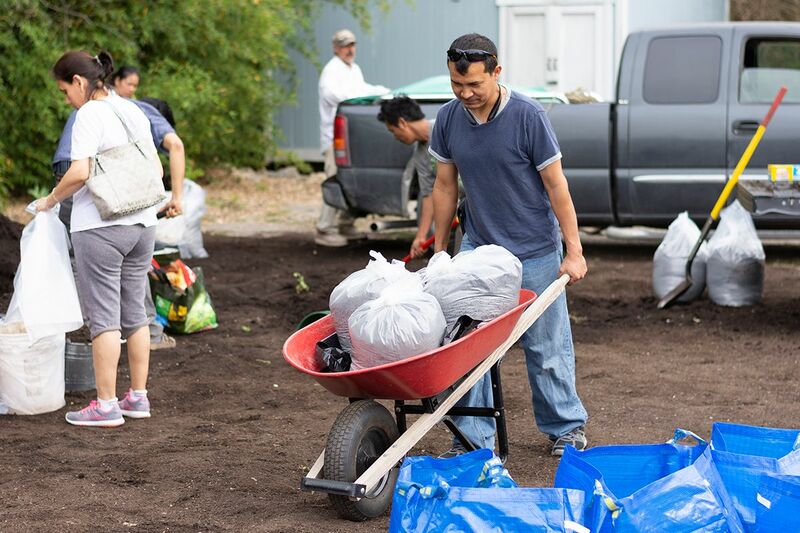 During this all-day event, we provided resources to 395 Central Texas gardens: 267 low-income household gardens, 96 school gardens, and 32 group nonprofit gardens. 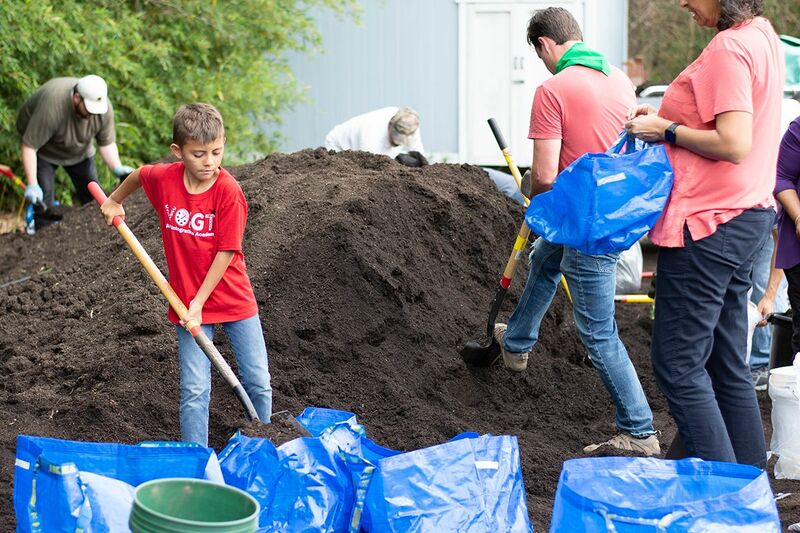 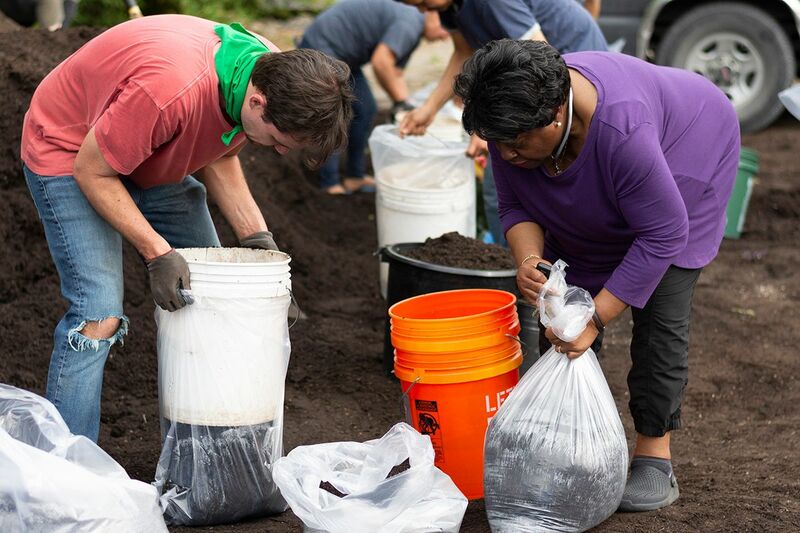 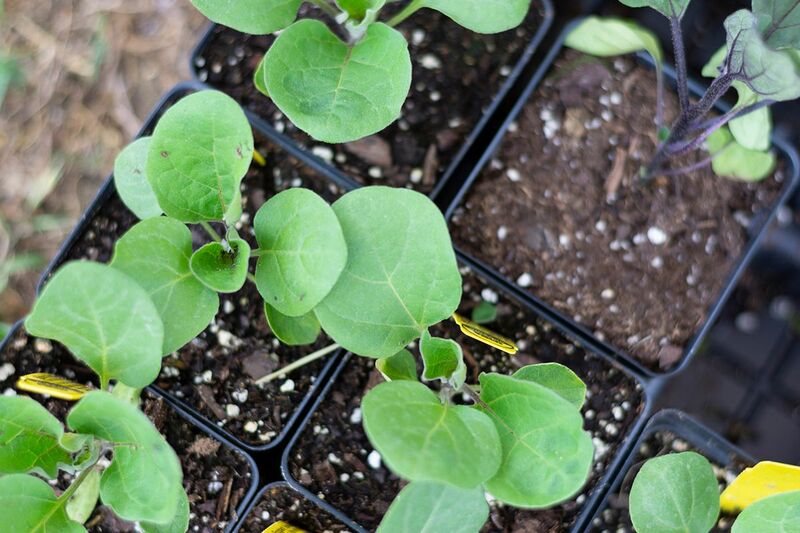 SFC staff and volunteers distributed nearly 4000 organic vegetable and herb transplants from Gabriel Valley Farms, 100 cubic yards of organic compost from Organics By Gosh, thousands of packets of Sustainable Seed Company seeds, and 100 pounds of dry organic fertilizer from Down to Earth. 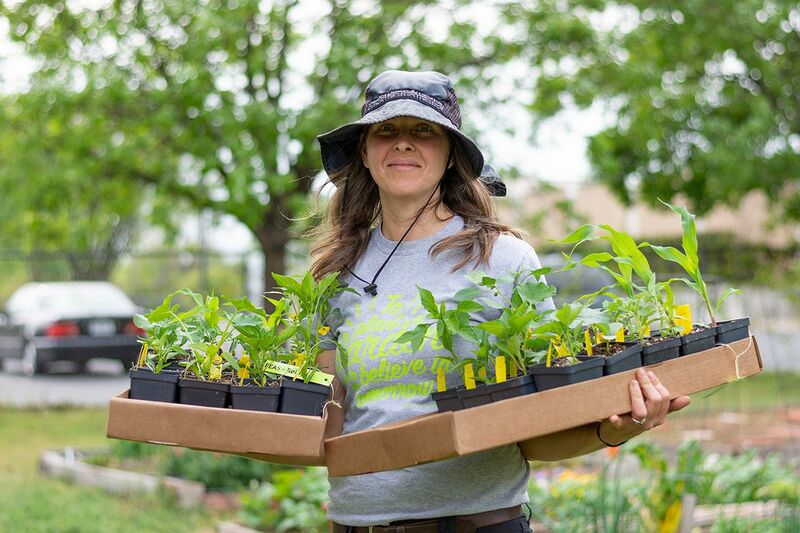 For the first time ever, we joined forces with TreeFolks to offer a tree giveaway at the event. 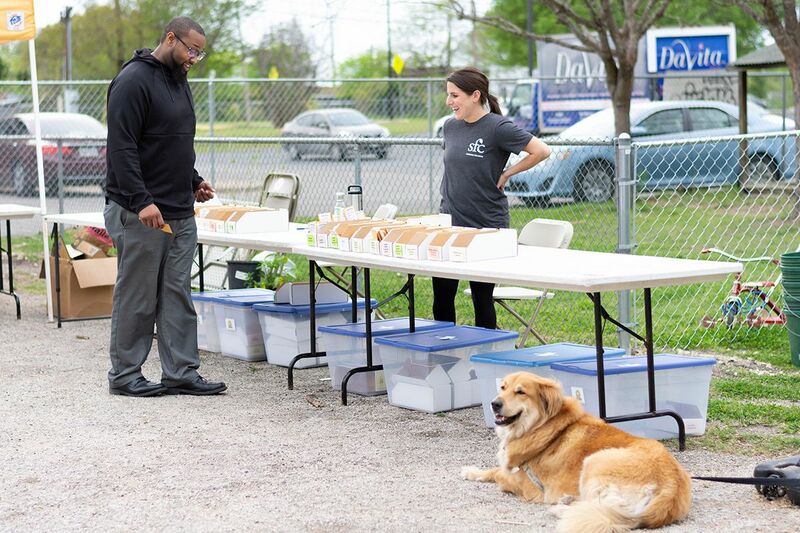 We were grateful to have several other partner organizations on-site to provide information to attendees. 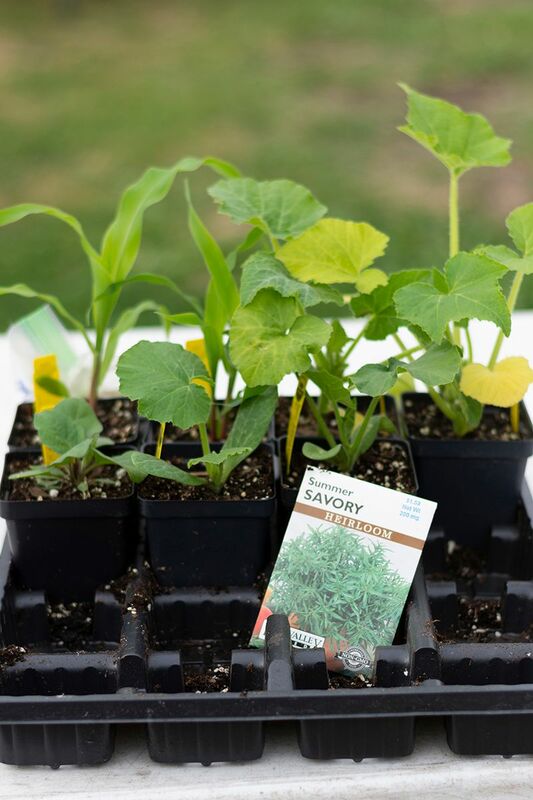 Travis County Master Gardeners answered gardening questions, TX Sprouts provided guidance for school garden representatives, Central Texas Seed Library hosted a seed swap and offered advice on seed saving techniques, and Keep Austin Beautiful provided information on their community beautification programming. 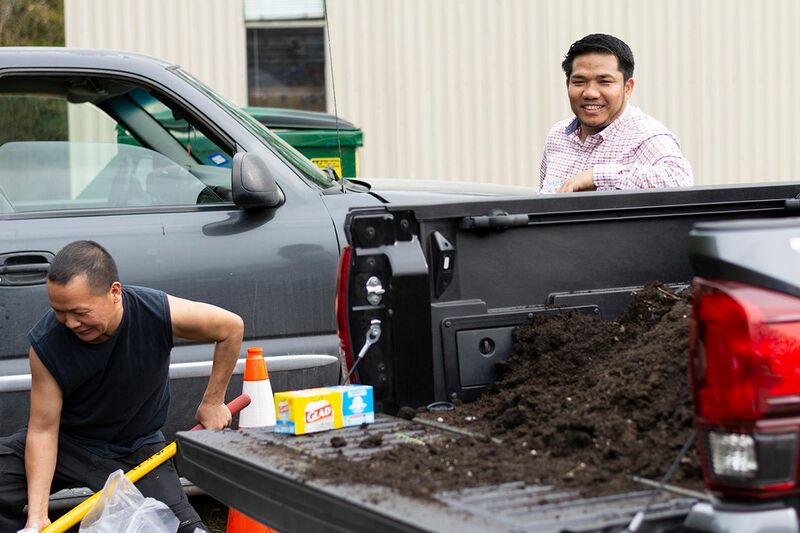 Through our collaboration with the Multicultural Refugee Coalition (MRC), we were able to continue providing Arabic, Burmese, and Nepali interpretation for program participants. 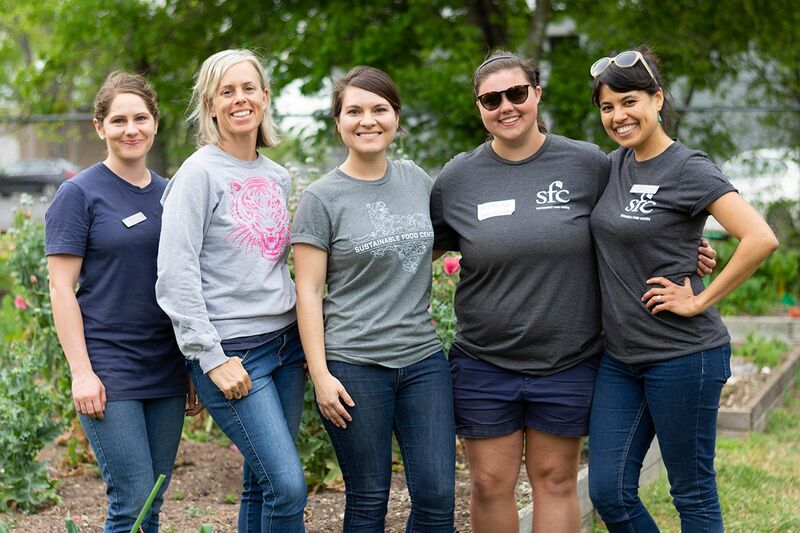 This event would not have been possible without our dedicated volunteers. 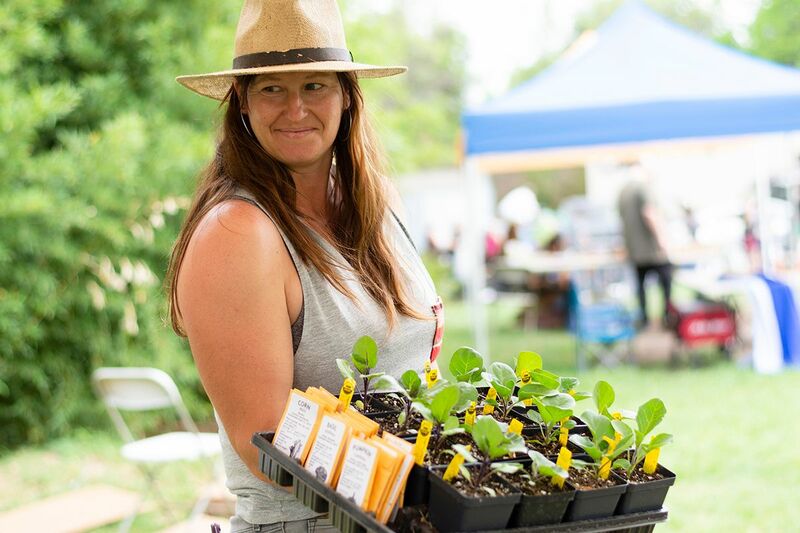 Fourteen volunteers helped out for a total of 60 hours on the day of the event, and 55 volunteer hours went into repackaging and labeling bulk seeds in the weeks leading up to the event. 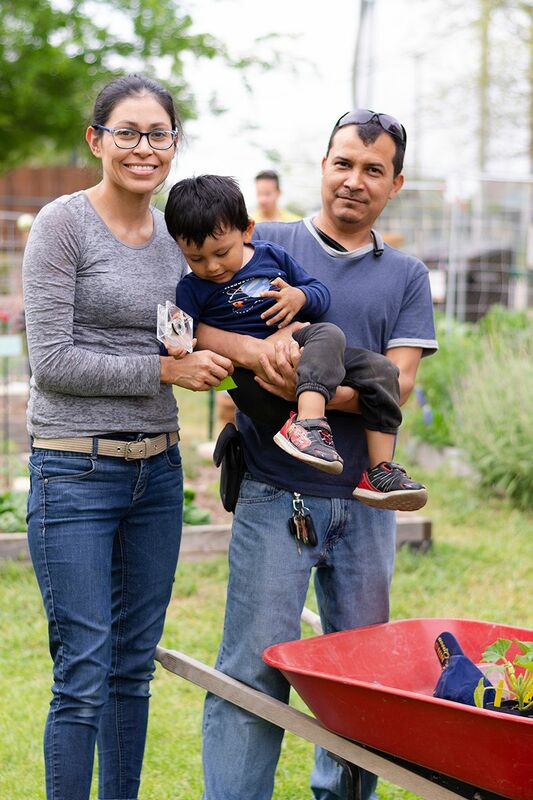 Thank you to Baha’i Faith of Austin and Sankalpa Academy for generously allowing us to use their space for this event, and to the ever-picturesque New Day Community Garden for giving us some great inspiration for our spring gardens. 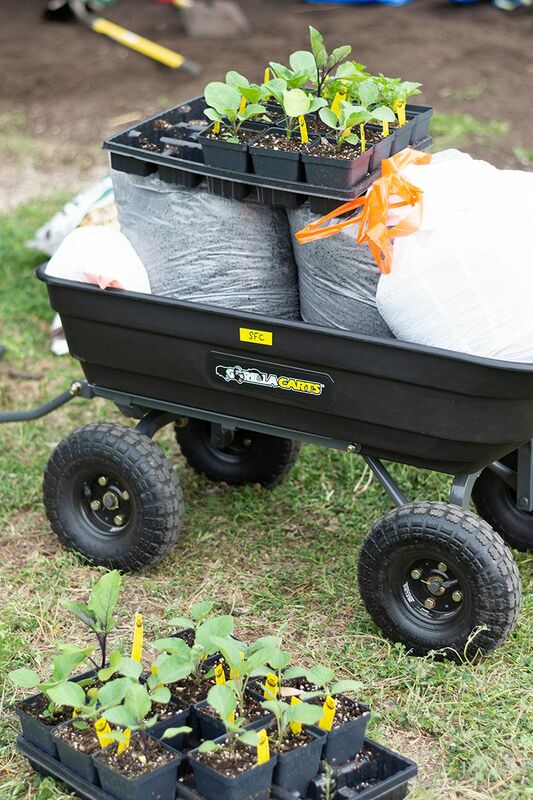 We’re already looking forward to our next Resource Giveaway Day to kick off the fall planting season!